This is not a technical blog. But today it was down for quite some time because hackers started a brute force attack. 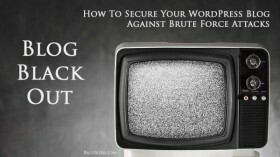 So here’s, in light of today’s events, a series of tips how to secure your WordPress blog. Hackers try to login to your blog by submitting the login form thousands of times with random passwords. Depending on how fast they do this, and on how many sites, your server simply may go down due to server overload. This is why all my sites were offline today. Worst case would be that they accidentally find the correct login and take over your WordPress. Don’t use ‘admin’ as login name. Set a different name when installing your blog. Use a WordPress plugin to hide the login page. When the hackers can’t find the login page, they obviously can’t start a brute force attack. This article was first published at RalfSkirr.com.